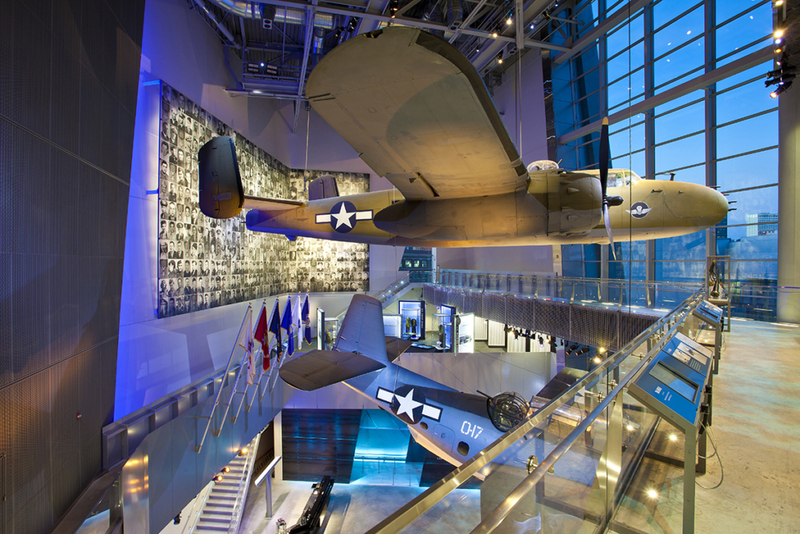 Built in 2013, US Freedom Pavilion: The Boeing Center is a stunning tribute to the 16 million Americans who served in the U.S. Armed Forces during World War II. 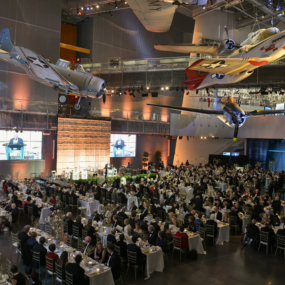 This expansive event space can accommodate corporate meetings of more than 1,200 guests, and features a dramatic backdrop of macro artifacts representing America’s legendary production of airplanes, artillery and tanks. 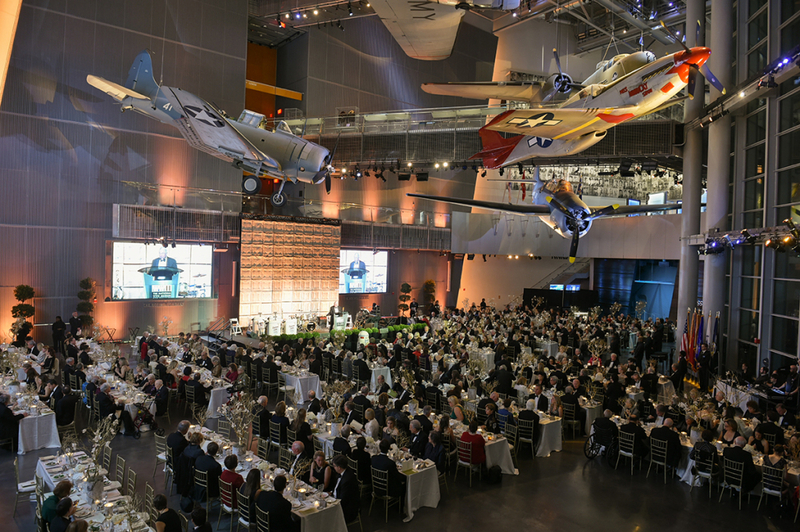 Located in the Warehouse District, US Freedom Pavilion is a dramatic space for after hour corporate events. 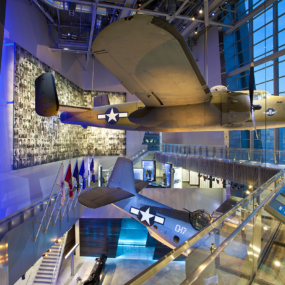 Aircrafts soar overhead, including the Boeing B-17 Flying Fortress, a SBD Dauntless and the TBM Avenger, and elevated visitor catwalks provide fantastic closeup views. 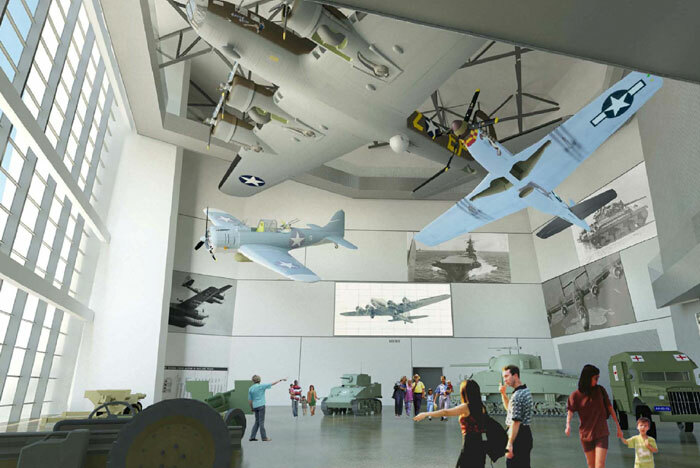 Exhibits feature artifacts, oral histories and LED screens highlighting the roles played by the U.S. Armed Forces in Allied victory. 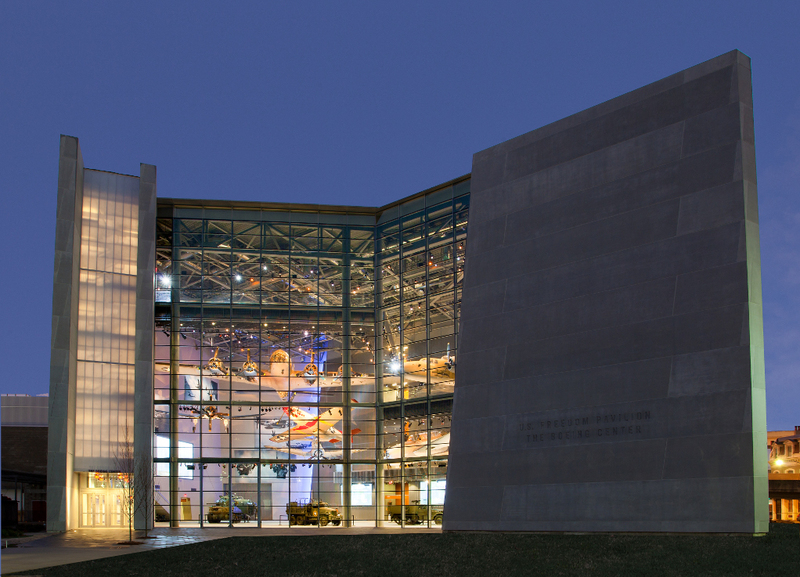 Another highlight is the interactive submarine experience Final Mission: The USS Tang. 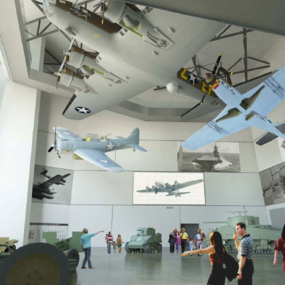 Based on the last war patrol of the USS Tang in the Pacific Theater, guests can take control and simulate actions of actual crew members as the submarine engages the Japanese Imperial Naval Forces. 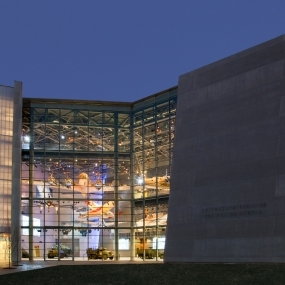 US Freedom Pavilion: The Boeing Center can accommodate seated groups of up to 650 guests, and reception style events of more than 1,200.